What is the secret of good prose? Does writing well even matter in an age of instant communication? Should we care? 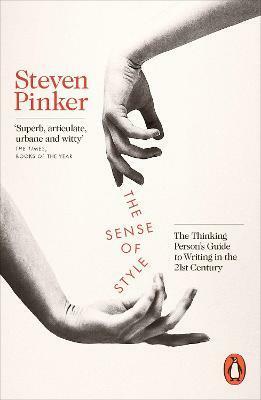 In this funny, thoughtful book about the modern art of writing, Steven Pinker shows us why we all need a sense of style. More than ever before, the currency of our social and cultural lives is the written word, from Twitter and texting to blogs, e-readers and old-fashioned books. But most style guides fail to prepare people for the challenges of writing in the 21st century, portraying it as a minefield of grievous errors rather than a form of pleasurable mastery. They fail to deal with an inescapable fact about language: it changes over time, adapted by millions of writers and speakers to their needs. Confusing changes in the world with moral decline, every generation believes the kids today are degrading society and taking language with it. A guide for the new millennium, writes Steven Pinker, has to be different. Drawing on the latest research in linguistics and cognitive science, Steven Pinker replaces the recycled dogma of previous style guides with reason and evidence. This thinking person's guide to good writing shows why style still matters: in communicating effectively, in enhancing the spread of ideas, in earning a reader's trust and, not least, in adding beauty to the world. Eye-opening, mind-expanding and cheerful, The Sense of Style shows that good style is part of what it means to be human.